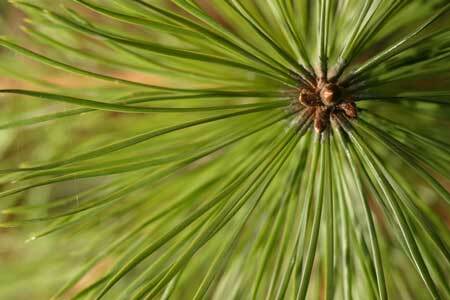 A three-day short-course called Longleaf 101, an in-depth classroom and field instruction in “all things longleaf,” will be offered by The Longleaf Alliance at Cheraw State Park Feb. 18-20, 2014. Priority registration will be open through Jan. 8 for landowners and land managers in Chesterfield and Darlington counties, and then registration will be open for other participants. For more information on the Longleaf 101 short-course or to register, call Hila Gatewood at (334) 427-1029 or send an e-mail to Office@longleafalliance.org. A special rate of $50 is in place for landowners and managers in Chesterfield and Darlington counties, thanks to grant support from the National Fish and Wildlife Foundation, through Jan. 8. The Longleaf Alliance (www.longleafalliance.org) offers Longleaf 101 to better prepare landowners and land managers to take advantage of opportunities and address management challenges specific to longleaf forests, and to create a uniformly well-informed network of longleaf managers to extend the reach of The Longleaf Alliance. This relationship is intended to be a two-way relationship, with information and discussion freely exchanged to better serve the public and to ensure the conservation, restoration and proper management of longleaf ecosystems to meet the variety of landowner objectives. The location of Longleaf 101, Cheraw State Park, is particularly well suited for this three-day short-course, offering rich natural resources, including more than 100,000 acres of longleaf pine, a variety of research and management scenarios, and comfortable, affordable accommodations. After Jan 8, the cost of the short-course will be $100, which covers cost of materials, instruction, transportation during the course, and lunches from Tuesday through Thursday. Available lodging in the nearby area includes cabins at Cheraw State Park, local motels and hotels in Cheraw, Hartsville, Bennettsville and or Darlington. Continuing Forestry Education (CFE) credits are available for Longleaf 101.